Winter solstice that usually falls on December 21 has been celebrated by many human communities throughout the millennia. Some of the oldest civilizations, which have evolved between the Indus and the Ganji Rivers to the East, and Tigris, Euphrates and the Nile Rivers to the West where today’s Iran falls in the center of this region, have commemorated the seasonal epochs. Iranians have, especially, revered and celebrated the winter solstice and spring vernal equinox as the semi-annual zeniths of the year. The winter solstice celebration has been called Yalda (Daygaan) in Iran (Persia) since antiquity. Yalda means (re-)birth of the Sun. There are other derivations of the same word in Syriac (Aramaic) adopted into the [Indo-European] Persian language, such as Tavallod and Milad that are synonymous, meaning birth, or Zayeshmehr in Old Persian. Yalda puts behind the longest “pregnant” night of the year, coinciding with the anticipated arrival of the newly born the ‘sun’, whereby days begin to become longer again (the triumph of light over darkness). It is also called “Shabe Chelleh-ye koochiek,” meaning the first night of a forty day period before another revered Persian celebration, Jashne Sadeh (Chelleh-ye bozorg) arrives; the latter is 50 days and 50 nights (thus a hundred) before the grandest Persian commemoration, Nowruz, or the Persian New Year. The term Yalda (aka ‘khoram rooz’) was adopted from Zoroastrianism (Mehr; also Mithraism) by the Persians, Medians and Partians. The ancient Roman festivals of Saturnalia (God of Agriculture, Saturn) and Sol Invicta (Sun God)- from which the words “Saturday” and “Sunday” are derived-are among the best known observances of winter solstice as commemorated by the European pagans. The Romans, especially the aristocracy, celebrated the birthday of Mithra, the Persian Goddess of the unconquerable sun, on December 25th. It was believed that Mithra, an infant god, was born of a rock. For some Romans, Mithra's birthday was the most sacred day of the year. In the early years of Christianity, Easter was the main holiday, as the birth of Jesus was not celebrated. In the late fourth century, church officials decided to institute the birth of Jesus as a Holiday, which was thought to have occurred in spring. Pope Julius I, however, chose December 25 for the birth of Jesus in order to supersede the pagan Saturnalia or Mithra’s festival. Mithra (Mehr) is responsible for protecting the light of dawn called “Havangah.” The day after Yalda, known as "Khoram Rooz" or "Khore Rooz" (the day of sun) belongs to Ahura Mazda, the Lord of Wisdom in Zoroastrianism. One of the themes of the festival was the temporary subversion of order. The king, dressed in white, would change place with ordinary people. This may be the origin of the later character jester in royal courts. The mock king was crowned and ruled with disorder and chaos as they believed order came of chaos, and masquerades spilled into the streets. As the old year died, rules of ordinary living were relaxed. Following the Persian tradition, the usual order of the year was suspended. Grudges and quarrels forgotten, wars would be interrupted or postponed. Businesses, courts and schools were closed. Rich and poor became equal, masters served slaves, and children headed the families. Cross-dressing and masquerades, and merriment of all kinds prevailed. The mock king, the Lord of Misrule, was crowned. Candles and lamps chased away the spirit of darkness. 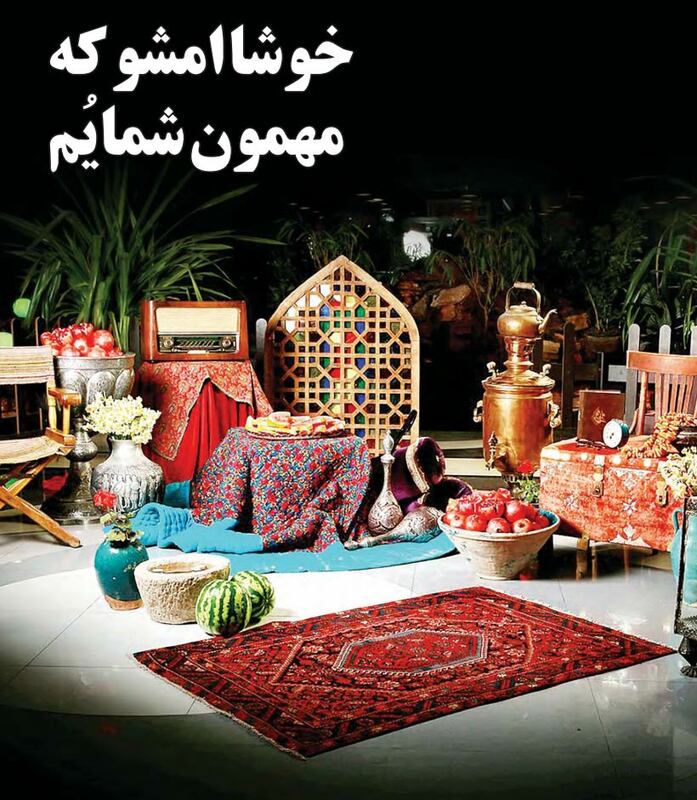 The Iranian Jews, who are amongst the oldest inhabitants of the country, in addition to "Shab-e Cheleh,” also celebrate the festival of "Illanout" (tree festival) at around the same time. Their celebration of Illanout is very similar to Shab-e Cheleh festival. Candles are lit; assorted varieties of dried and fresh winter fruits (pomegranates, watermelon, meddlers, and persimmons) will have to be consumed, special meals are prepared and spiritual prayers recited. The Hundredth Day Celebration, Jashn-e Sadeh is a mid-winter celebration, commemorated since antiquity in IRAN, (then Persia to non-Iranians), that falls forty-days after Yalda, the winter solstice. The figure Sad-eh, 100, actually coincides with 50 days & 50 nights before the arrival of Nowruz, i.e., the vernal equinox. Nowruz is the grandest Persian New Year celebration that has, along with the three other seasonal festivities, been observed by all peoples in the large territory spanning from central Asia to western India, and into the western Fertile Crescent and the Caucasus including all of the Iranian Plateau the current country of Iran, for the past millennia. Sadeh reverberates with the exhilarating celestial message of light and warmth, and by leaving the frost and cold behind (the triumph of light over darkness). A version of the Sadeh celebration in Yazd, according to the Fasli (seasonal) Calendar, is called Hiromba. In Sassanid Dynasty era (7th century C.E. ), huge bonfires were set up at Sadeh. Mo’bed the Zoroastrian Magi priest, led the prayers of those congregating around the sacred fire “Atashe Niyayesh” and performed the spiritual rituals before it was lit at sunset, generally outdoor near the temple and along a pristine stream. The fire was also meant to drive off the demons of frosts and cold, which could otherwise turn water into stone (ice), and kill the plant roots beneath the earth. 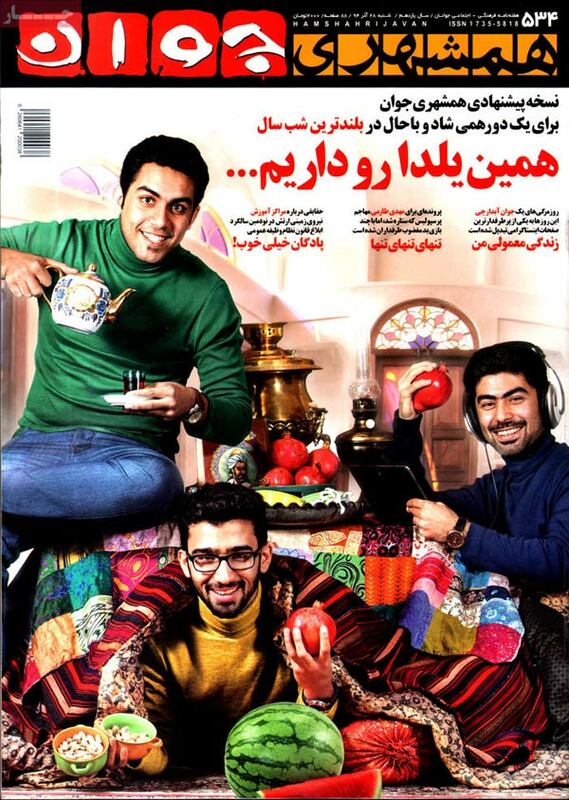 Traditionally girls (boys after 1979 in Iran!) would go door to door asking for firewood (to light another bonfire.) Knocking on doors, they would chant poetic verses like "If you give firewood, God will grant your wish, and if you don't, He won't either!" People would dance around the bonfire. Wine, a then luxurious intoxicating elixir, was served communally. The most elaborate report of the celebration comes from the 10th century during the reign of Mardavij Zeyari, the ruler of Isfahan. A major suburb of this City is still called Sadeh! During the three days of Sadeh celebrations, huge bonfires were set up along the Zayandeh Rood, while hundreds of doves carrying lit fireballs were released to light up the dark sky at night. There were fireworks, clowns, dances, music and storytelling, with lavish feasts of roasted lamb, beef, and chicken kabobs and other delicacies, served to participants, as well as to the needy in the City. In modern Iran and in diaspora, many Iranians have reverted to commemorating historical celebrations. This is manifested in major pre-Islamic heritage, commemorating Nowruz and Chaharshsenbeh Soori preceding it, as well as Mehregaan, Yalda, Tirgaan, Daygaan, and of course, and Sadeh.